Industry officials cite unintended consequences, conflicting interpretations of Volcker rule at Wednesday's hearing. 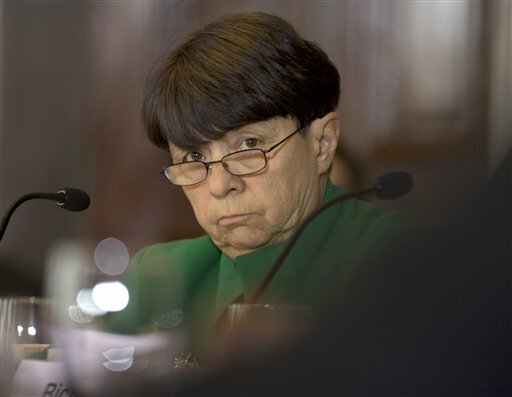 Two top GOP lawmakers told Securities and Exchange Commission Chairwoman Mary Jo White in a recent letter that the agency has violated federal law by failing to conduct “any economic analysis” on the recently adopted Volcker rule, and have asked her to explain to them by Jan. 24 the “legal justification” for the agency’s oversight. House Financial Services Committee Chairman Jeb Hensarling, R-Texas, along with Rep. Scott Garrett, R-N.J., chairman of the Capital Markets Subcommittee, told White in their Monday letter that the final Volcker rule, adopted by the five federal regulators on Dec. 10, should have undergone an economic analysis. However, White said in a statement when the rule was adopted that the agency’s economic analysis team played a critical role in rulemaking. The SEC’s purported lack of analysis was raised again during a Wednesday hearing held by the House Financial Services Committee entitled “The Impact of the Volcker Rule on Job Creators, Part I.” The hearing also focused on the unintended consequences of the massive and complicated rule, as well as the conflicting interpretations that could arise from the five regulators who must enforce the rule.